We love our pets, but it is no secret that they can wreak havoc on our natural grass yards. Imagine a pet turf surface your dogs won’t be able to dig up; one without dirt and mud for them to track into the house. Our pet turf is designed to simulate the actual look, feel and performance of natural grass. It won’t fade in the sun, requires little-to-no maintenance, and is made of a special polyethyleneblend of long-bladed, bent grass fibers that last a lifetime. 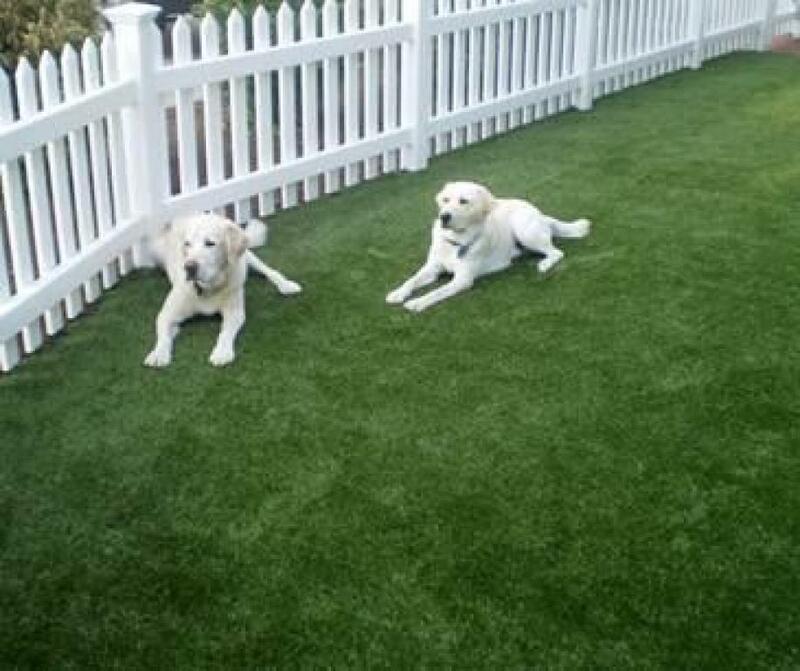 Our Pet Turf is designed with Urethane, which allows for superior flow through rates on drainage. And because Southwest Greens is committed to green/recyclable products, our Pet Turf is 100 percent recyclable. It’s safe for both pets and kids, it’s easy to clean, and it’s hygienic–making pet clean-ups easier than ever before. 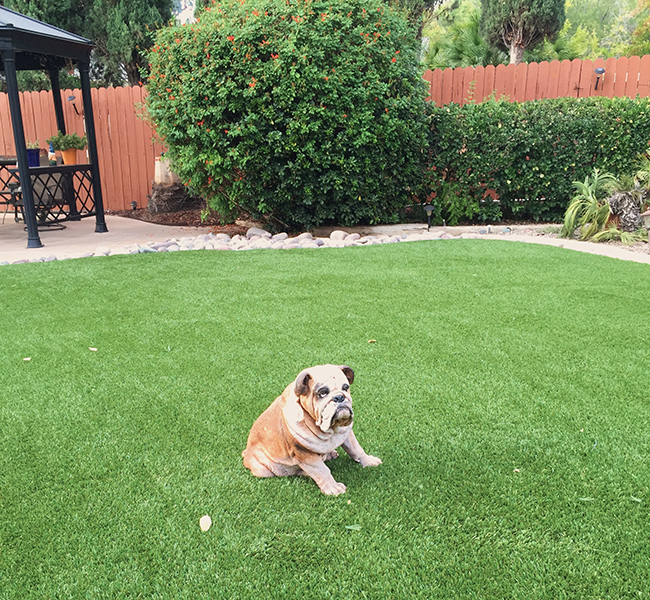 From backyard kennels to swanky pet resorts, animal lovers everywhere are discovering the benefits of Southwest Greens pet turf products. 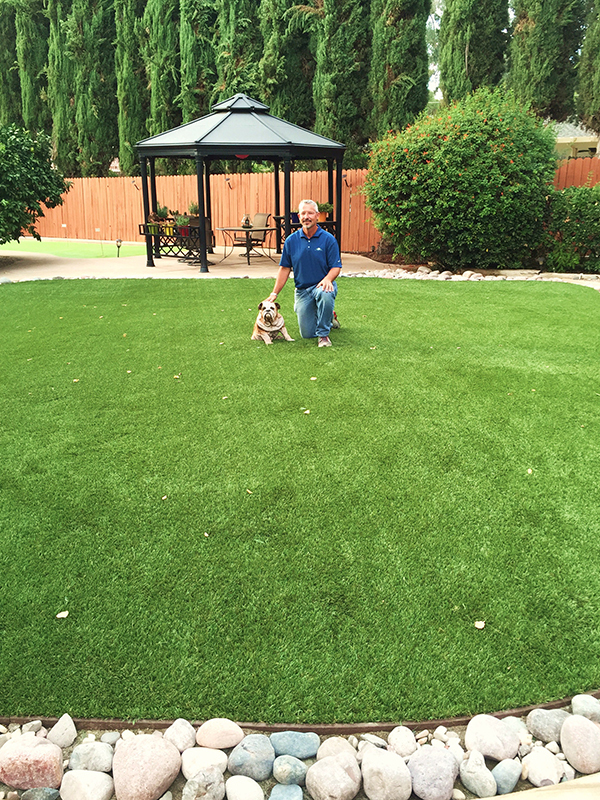 Contact Southwest Greens if you want the perfect lawn for you and your dog, year-round. Trust the best in synthetic grass and lawn installation. Trust Southwest Greens. Learn why synthetic turf for pets is perfect to maintain your yard. Learn how to care for your Southwest Greens synthetic lawn & grass products.